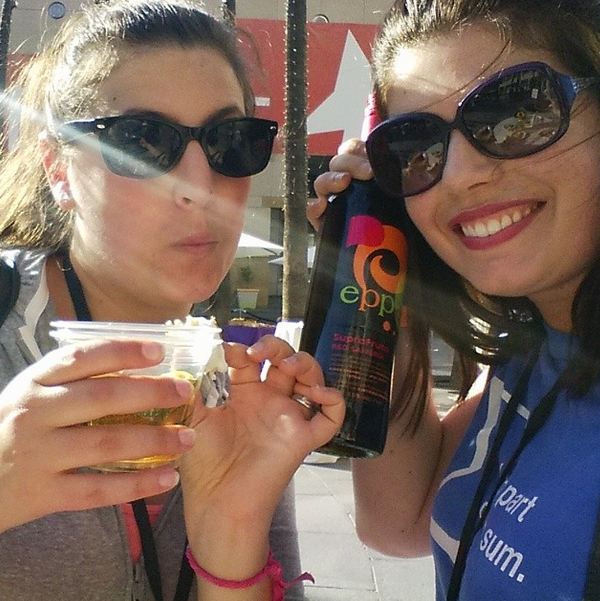 Kim's Kitchen Sink: Hello From BlogHer! This time, I have the honor of sharing my BlogHer experience with my coworker Helen...this is her inaugural BlogHer experience, so it's exciting times indeed. If you met us tonight, we were giddy with freedom (hey, we left the office at 3:30pm! and aren't going in tomorrow!) and high on blogger energy. If this is your first time over here at Kim's Kitchen Sink, say hi in the comments! Nice to meet you. The invitation said to wear yoga pants. So. Obviously. It was very hot. There was an ice luge for the sangria. Late night dinner at Johnny Rockets for nostalgia's sake. Jukebox was broken. Womp womp. 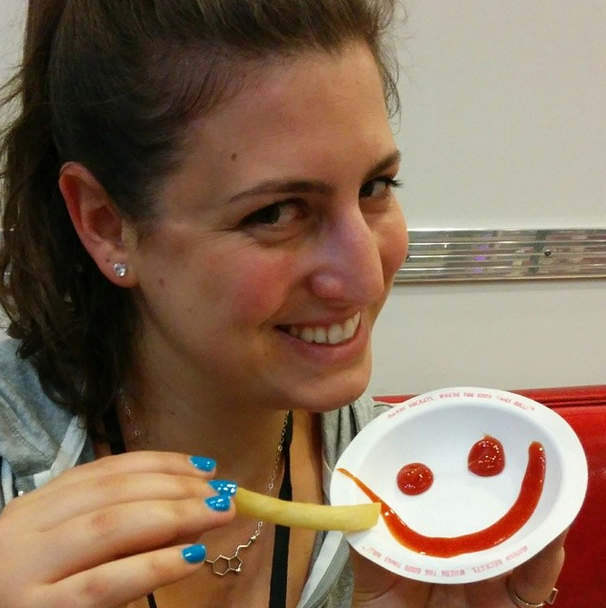 Area Woman Reports Smiley Face Ketchup Still a Thing. I didn't take many pictures in the expo hall because I was too busy exhaling (and tweeting) and making mental notes for tomorrow and Saturday (drool over fancy Samsung appliances? CHECK!). Also, I got my fingernails painted Disqus blue (thanks, Bridgestone Tires booth, for the mani and the massage! ), so even though I'm not here reppin' Disqus (unless you're an engineer and you want a job, in which case, come find me), I'm still reppin' the blue. Maybe I'll post every day throughout the conference, maybe I won't...Thursday night is always the calm before the storm. If you see me wandering around with my face in my phone, poke me and say hi! You're so quick! :p Weird that we were in mostly the same places because I didn't see you the entire time. I just got paid $7500 working off my computer this month. And if you think that's cool, my divorced friend has twin toddlers and made over $8k her first month. It feels so good making so much money when other people have to work for so much less. This is what I do,. This was a great post, Kim. Thanks for sharing your experiences!